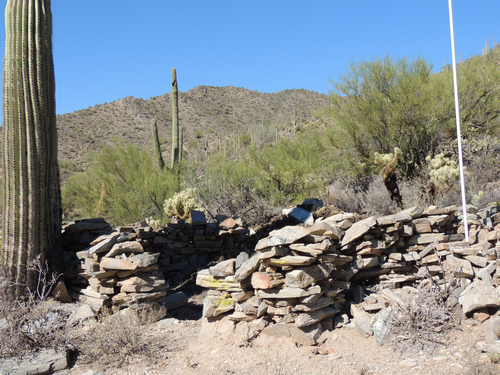 This is a short, but fun, Jeep trail that can be combined with something else in the area. 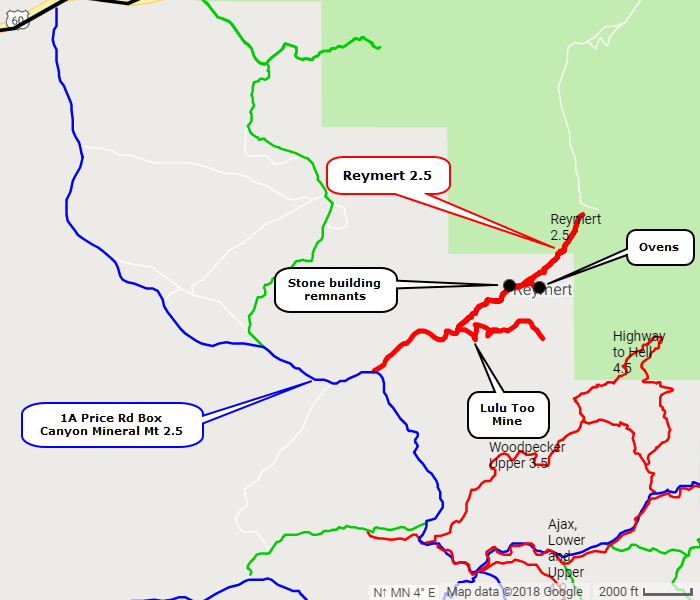 Reymert Road shows on many maps as connecting to US 60, but it only goes as far as shown on this track. Be sure to check out the Lulu Too Mine spur included in this track. It climbs up through the mine then threads along the top of a ridge before ending on a good viewpoint. 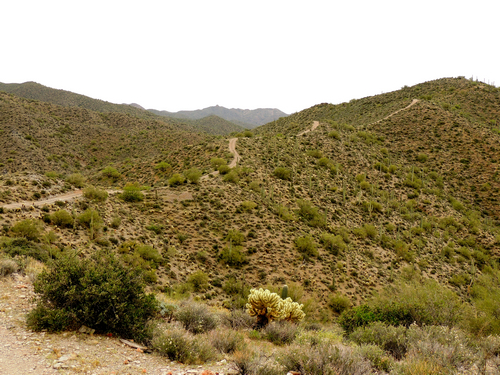 It is a shelf road with steep climbs and abrupt switchbacks. 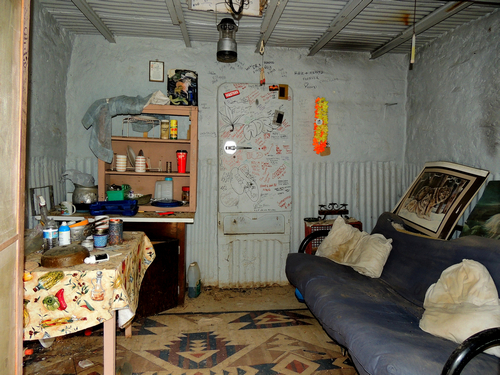 Stop and look at the in-the-ground shack at the mine. It has a shady porch overlooking the wash and is in amazingly good condition. Vandals seem to destroy many things, but have left this alone. 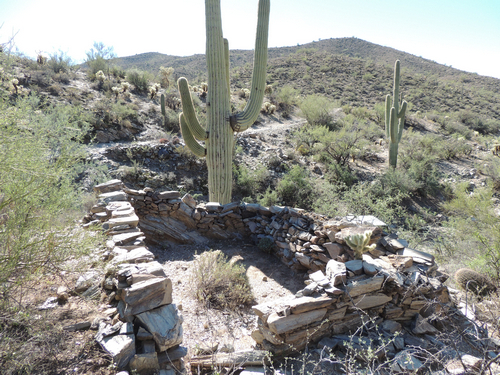 Continue up the main road and come to the "Ghost Town" of DeNoon, the town where two ovens still remain. DeNoon's post office was established March 19, 1890 and discontinued April 1, 1891. DeNoon was the milling town for the nearby Reymert Mine. James DeNoon Reymert was responsible for starting, and of course naming, the two towns. Only two miles from Reymert, DeNoon was a short haul for the ore. 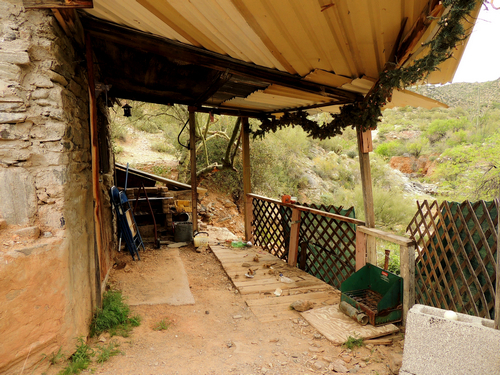 The mine in Reymert is now on private land and is not open to the public. 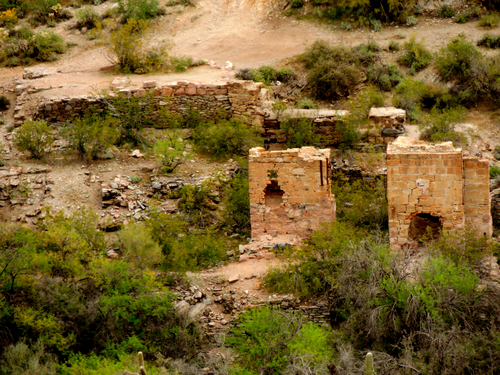 The Reymert mine produced silver, copper, gold, lead, manganese and zinc. Search around on both sides of the main road northwest of the ovens. 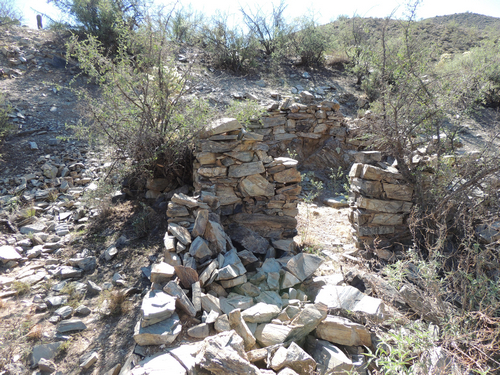 This appears to have been part of the town and there are many remnants of stone buildings.